5 OZ. 2 PC. 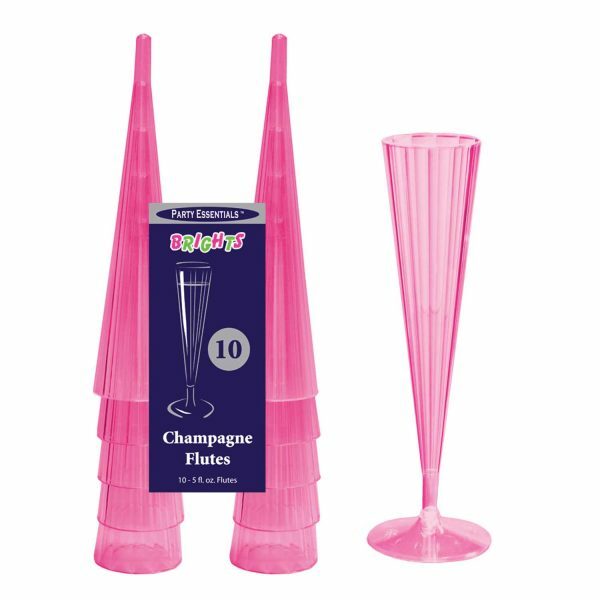 CHAMPAGNE FLUTES – NEON PINK 10 CT. Think pink with Party Essentials Pink Collection! Great for toasting. Two-piece design to facilitate stacking, storing and transporting. ?Matches other BRIGHTS items. 8 OZ. WINE STEM – NEON PINK 10 CT.